Irrespective of whether you’re a guy or a girl, you cannot deny how thick and beautiful lashes instantly enhance your look and appeal by making your eyes appear larger. But for those of you naturally born with thin or sparse eyelashes, running to your favorite bottle of mascara might seem like the only option to you. But what if I tell you that there is actually a way to make your eyelashes longer and 100% naturally? I’m listing below a wide variety of products, most of which are affordable and easily available in convenient stores. Choose what suits your skin best! Not only vitamin E is great for your skin, but it works wonders for your lashes as well. 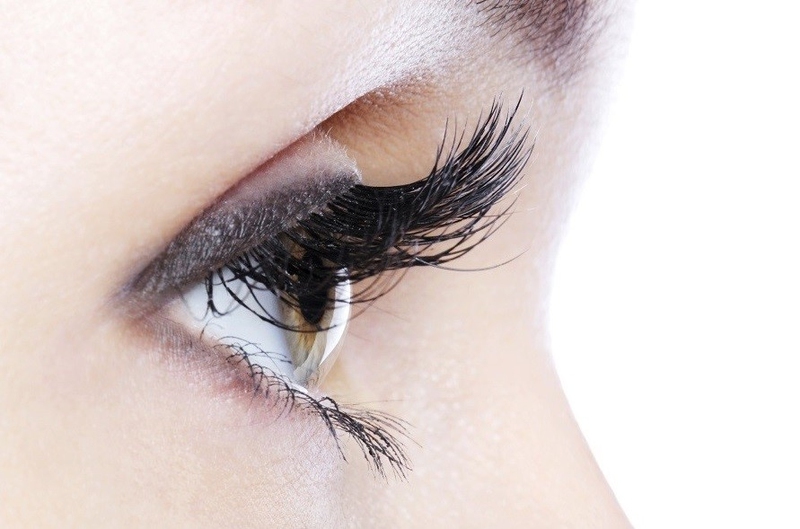 Buy a pack of vitamin E capsules, cut one open, pour it on a cotton swab and then apply it gently on your lashes. Do this twice a day – in the morning and at night before going to sleep. This item has a surprisingly high number of essential fats and proteins in it which aid the growth of your lash hair. You can apply it on your lashes by using one of the two methods: dipping a cotton swab in the milk and then applying it on your lashes; or filling a disinfected and empty spray bottle with milk, and simply spritzing it all over your face. Do this twice a day and continue this procedure rigorously for at least 8 weeks. Coconut oil is also very useful. Not only does it contain fatty acids and vitamins necessary for hair growth, but also removes traces of sebum build-up from your hair follicles. Not to mention the fact that since it is anti-bacterial in nature, it helps fight off mild infections as well! Yes, aloe vera is good for your skin and hair, but did you ever think of applying it to your lashes? You can use it individually, or add extra ingredients, like vitamin E or even essential oils, to come up with your own mix. So how to make your eyelashes longer with this mixture? Simple, just use a mascara wand to apply it to your lashes. Do you have an empty mascara wand or soft-bristled eyelash comb lying around? First, disinfect it and then just as you would brush your hair, brush your lashes. This stimulates your hair follicle by increasing the blood circulation in that area. Do so gently for at least 2 minutes continuously. You can add a few drops of vitamin E or any other item listed below to your wand or comb to double the effect. We all know that green teas are full of antioxidants. What we didn’t know was they’re also rich in epigallocatechin-3-gallate and flavonoid, two ingredients that immensely help in making your eyelashes longer. Just like brushing your lashes, massaging your lids results in improved blood circulation, which in turn means your hair follicles are getting more nutrients than they normally would. All you need to do is massage your lids and lashes very gently with your ring finger, twice a day for at least 4 minutes. You can use vitamin E or an oil of your choice and massage with that as well. It contains vitamin E, F and B, along with fatty acids and the nutrients necessary for collagen production. It hydrates and moisturizes your skin and hair like nothing else, and it is a boon for those with dry or mature skin. Yes, that’s right. It is not only great for your lashes, but also for your eye skin as well. And do I mention that it naturally contains SPF 6? Lemon peels are actually a great source of folic acid and vitamin C, along with other ingredients that help you in how to make your eyelashes longer. What you need to do is take 1 tbsp. dried peels, put them in a bowl and add enough coconut oil to it so that they are comfortably soaked in it. Keep it aside for 4 weeks and keep it in a cool area. And then, you can use a mascara wand to apply this mixture to your lashes. Olive oil is rich in vitamins K, D, E and A, as well as polyphenol, a substance which helps in cell repair and growth. Dab a drop of olive oil on your ring finger and massage it gently over the lashes of one eye. Then repeat the process on the other eye. Almond oil has high quantities on vitamin E, which, as we have already explained before, is great for your hair growth! This is yet another excellent item that helps your lash grow. Endowed with ingredients like proteins, vitamin E, Omega 6 and 9 fatty acids and several minerals, castor oil can be your saving grace. You can even go ahead and combine it with any other oil in equal proportions as well, just to give your lashes that extra boost. Other oils that you can use include avocado, jojoba and argan oil. So have you found out the best answer to how to make your eyelashes longer? Server responsed at: 04/25/2019 10:26 p.m.